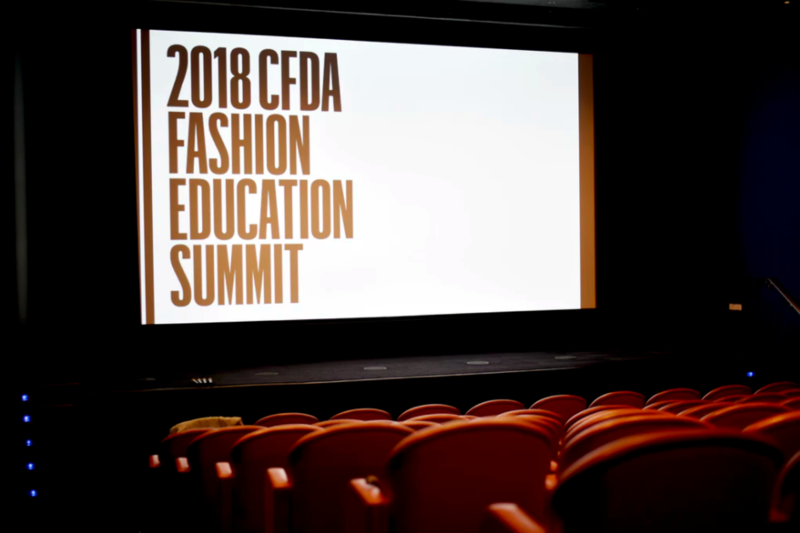 Steven Kolb, CEO and President of the CFDA, introduced the event, and Sara Kozlowski, Director of Education and Professional Development coined the phrase “creative Darwinism” to describe the urgency with which the fashion industry must adapt in this new industrial revolution. Parley founder Cyrill Gutsch spoke about what motivated him to transform a career in design and product development into a new kind of environmentalism with creativity and collaboration at its core, explaining the Parley AIR Strategy (Avoid, Intercept, Redesign) in response to the problem of ocean plastic. Marc Dolce, VP and Creative Director of Adidas Brooklyn Farm explained the collaborative creative partnership with Parley, and the Adidas commitment to remove virgin plastic from its supply chain. Dr Amanda Parkes, Chief Innovation Officer at FutureTech Lab highlighted a plethora of key innovations emerging in bio materials and technological advances poised to positively disrupt our materials and interaction with technology. Yuly Fuentes-Medel, Director from Fashion Descience, spoke about The Next Generation of Designers, and the need to unite design thinking and practice with science disciplines to enable much needed innovation in our industry for a more sustainable future. Other speakers included Marina Coutelan from Premiere Vision on unlocking the potential of sustainable fashion, and Guisy Bettoni from C.L.A.S.S. We know that the fashion and textiles industry is one of the most polluting in the world, but it is also one of the most influential. Fashion designers, and especially educators and students, have the power to play a pivotal role in the creation of a better reality for the future. We have the imagination and creativity to envision a new landscape for our industry where economic systems can thrive in harmony with the ecosystem of nature.